One person was killed in a crash earlier this month on Aldine Mail Route Road near Aldine Westfield. The crash was caused by a 14-year-old driver, who was later charged with murder. According to investigators, a 14-year-old was driving a GMC Acadia, ran a red light, and smashed into a Ford F-150. The driver of the F-150, a 45-year-old woman, died at the scene. Police say that three teens were inside the Acadia throwing eggs at vehicles. A driver whose car was damaged by the eggs decided to chase the teens. The teens say that the driver who was chasing them displayed a semi-automatic handgun. The teens allegedly took off speeding and crashed into the F-150. The driver who was chasing the teens fled the scene after the crash. Investigators have identified the driver of the pursuing vehicle. That driver is still under investigation. The mother of the teen who is being charged with murder said that her family hid the car keys from her son, but he found them while the family was at church. The mother of the teen places blame for the accident on the driver who was chasing her son’s SUV. 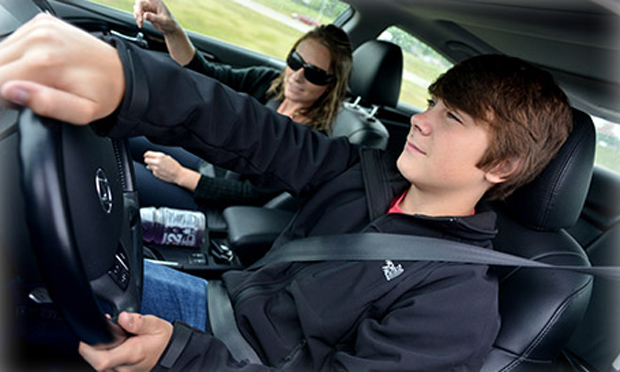 Teen drivers are more likely to be involved in motor vehicle accidents than any other age group. Teens are very susceptible to distractions, they lack driving experience, and they are often immature, all of which can lead to accidents. When a teenager’s carelessness causes an accident, it’s important that the accident victim speak with an attorney. The victim has legal rights to compensation. If you have been injured or a loved one has been killed in an accident with a teen driver in Houston, you should speak with an attorney. Call the Houston personal injury attorneys at Kennedy Hodges at 855-947-0707. We can help. Call us today to learn more or to schedule a free consultation, or visit us on YouTube to learn more about the firm.